The announcement of the Twitter streaming video partnership came just shy of a week after Anthony Noto, Twitter’s COO and CFO, told BuzzFeed of the company’s endeavor to create several 24-hour live streaming channels. 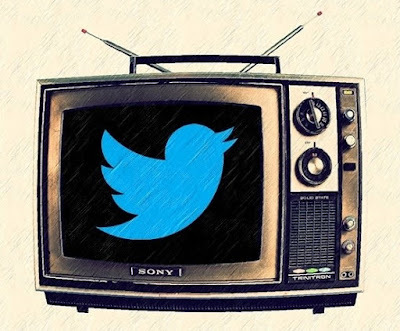 The goal is to make Twitter “a viable alternative for cord cutters,” and the deal with Bloomberg is only the beginning. Apparently, TWTR also is looking to replace its sports coverage — streaming rights for Thursday-night NFL games were lost to Amazon.com, Inc. (NASDAQ:AMZN). With the right content partners, Twitter’s hopes of evolving into a prime destination for news seekers and sports fans could be just what TWTR stock needs right now. After dropping more than 30% in 2016, shares of Twitter are now well in the black for 2017, up 12% and rising. It’s no secret that losing the NFL streaming rights to Amazon was a huge blow to Twitter’s fragile position, and Twitter stock suffered the ill effects of that loss. However, once news of the company’s partnership with Bloomberg reached Wall Street yesterday, Twitter shot up more than 6% by the closing bell. Add in the gains since the company reported first-quarter earnings figures, and you’re looking at a 25% run for TWTR stock in just about a week. Now imagine how Wall Street will react if management is able to make a deal with the UFC, which is apparently one of the top picks for Noto’s plans to expand the microblogging site’s live content. A successful deal between TWTR and the mixed martial arts media titan, especially if that arrangement includes live streaming of events, will be a much bigger draw for cord cutters and younger audiences — who typically tend to be one and the same — than if Twitter streaming was nothing but Bloomberg news and similar financial broadcasts. Let’s face it: There’s a huge difference between streaming investment reports and international news compared to streaming a UFC fight. Even though a deal with the UFC would not include Twitter streaming of pay-per-view events (at least not for free), having a round-the-clock broadcast of related MMA content that’s intertwined with Tweets about those PPV fights, as well as freely available videos after the conclusion of the event, could work wonders for boosting TWTR membership figures. It seems pretty clear that Wall Street sees significant potential for Twitter, considering its international reach and reputation for near-instantaneous information and news sharing, hence the immediate spike for TWTR stock when news of the Bloomberg streaming partnership was announced. So, even though many investors and analysts alike tend to view Twitter as social media’s red-headed stepchild, everybody agrees that the company’s 328 million monthly users represents something of a goldmine — if only Twitter can find a way to successfully and consistently keep ad revenue flowing in. This could all change, though, if the Twitter streaming deal with Bloomberg ultimately leads to continuing increases in TWTR’s user base. Of course, only time will tell, but considering the market’s reaction to the Bloomberg partnership, I’d call Twitter stock a buy. Better to take up a position now, rather than wait to hear news of a deal with the UFC.